Cayman Islands move a step closer to World T20 glory with a five-wicket win over Argentina. 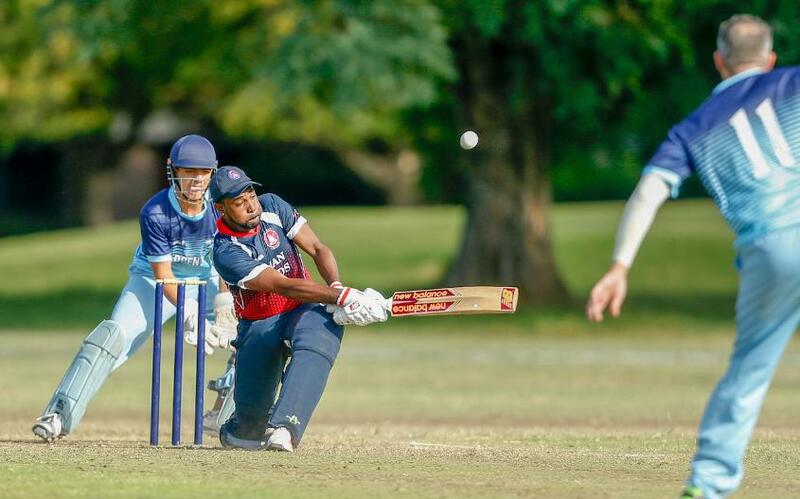 An excellent combined display from Cayman Islands’ bowlers set up a comfortable five-wicket win in the opening match of the ICC World T20 Americas Sub Regional Qualifier against Argentina in Buenos Aires. The hosts won the toss and elected to bat first, but soon found themselves in trouble, slipping to 13/3 in the fifth over. 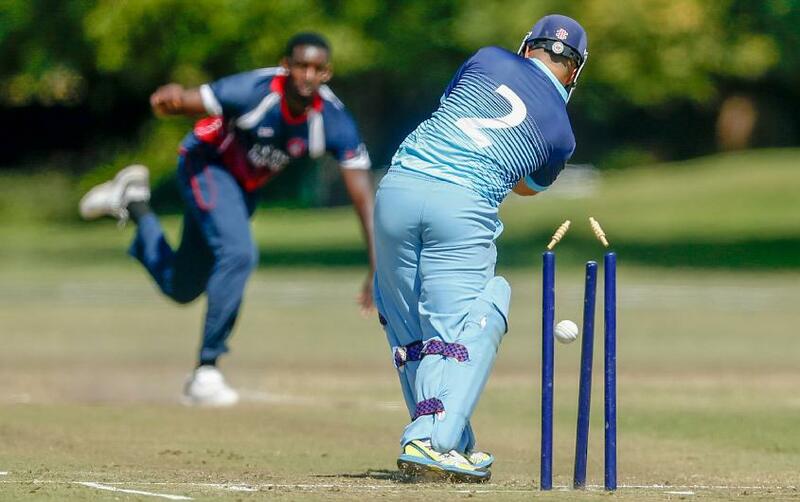 The wickets were shared between the Cayman Islands bowlers, Conroy Wright bowling Ramiro Escobar, Lautaro Musiani out caught off the bowling of Troy Taylor, and Thomas Marinozzi caught and bowled by Corey Cato, all for single figures. From there Argentina mounted a partial recovery, reaching 70/5 in the 16th over thanks mainly to the efforts of Pedro Arrighi, who top-scored with 34. He received able support from Pedro Baron and Samuel Hatt, who both reached double figures, and Argentina still had a score in excess of three figures in sight. An excellent performance from Cayman Islands at the death, led by Kevon Bazil and Taylor, soon put paid to those hopes. Each took three wickets as Argentina’s last five wickets fell for the addition of just 18 runs, and their last three for just three runs. That left Cayman Islands needing 89 to win, and though their reply got off to the worst possible start – Ainsley Hall being bowled by Hernan Fennell on the very first ball of the reply – they made easy enough work of the chase. Though none of their batsmen made a big score, four of their top six got starts, and in the circumstances that was all that was required. Opening batsman Darren Cato in particular played with notable fluency, making 24 off 19 balls and scoring five boundaries. He was supported by Omar Willis who made a calm 17. 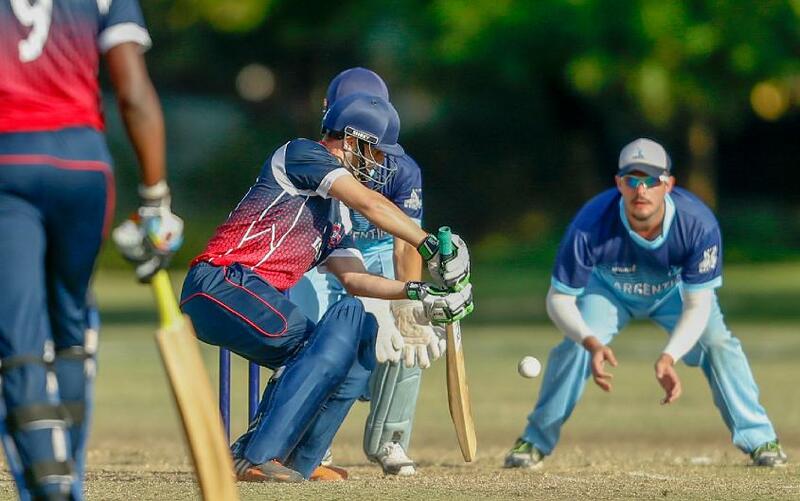 Captain Ramon Sealy’s 28 brought his side within three runs of victory, and Chad Hauptsfliech’s 13 applied the finishing touches on a solid team performance, Cayman Islands victorious by five wickets with three overs remaining. Argentina will have an immediate shot at redemption as they take on Bermuda on Tuesday 27 February, while Cayman Islands will have to wait until Wednesday 28 February to see if they can continue their good form, when they also take on Bermuda.